Salmonella found in peanut butter/almond butter/ cashew butter! Eek! There’s a long list here, and it’s not just at Trader Joe’s and it’s not just non-organic. I pulled out our peanut butter from Costco and found it on the list. We’ve already eaten half a container, but I called my local Costco and they said I could bring them back (they come in a 2-pack) and get a refund. If you find your nut butter on the list, the website at Sunland just says to throw it out, but you won’t get a refund that way, will you? Take it back to where you got it. Ugh. This is why I want to have my own farm, except realistically I’d probably get tired of the isolation after like 3 days and want to leave. Also, the fact I could not keep three squash plants alive might be a drawback. (The wild rabbits got to them! I swear! And I should have mulched, I know). I wonder at which stage the salmonella gets introduced. Is it at the shelling stage? Or at the churning-into-peanut butter stage? The CDC doesn’t say. 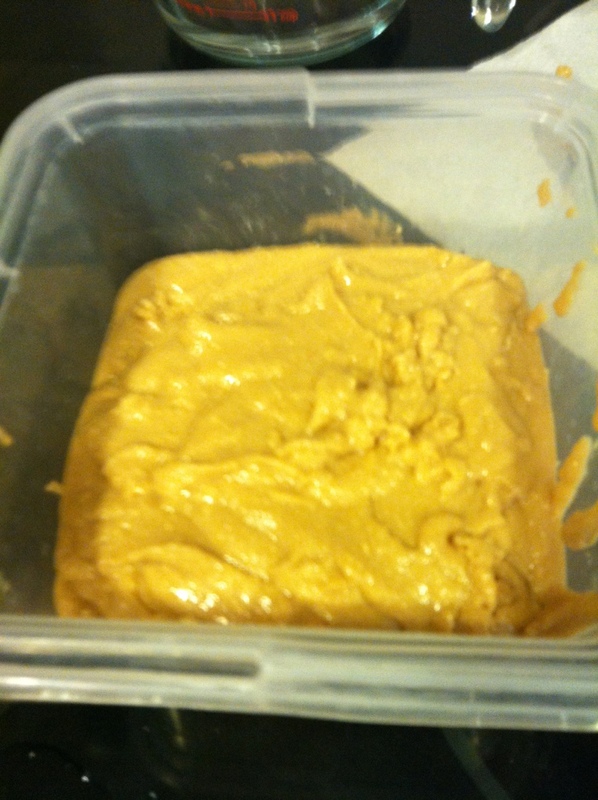 Anyway, I looked up a couple of recipes for making your own peanut butter and decided to make my own. Hopefully, salmonella isn’t introduced at the shelling stage (I tried calling the numbers for Sunland to ask, but they are, not surprisingly, busy busy busy). 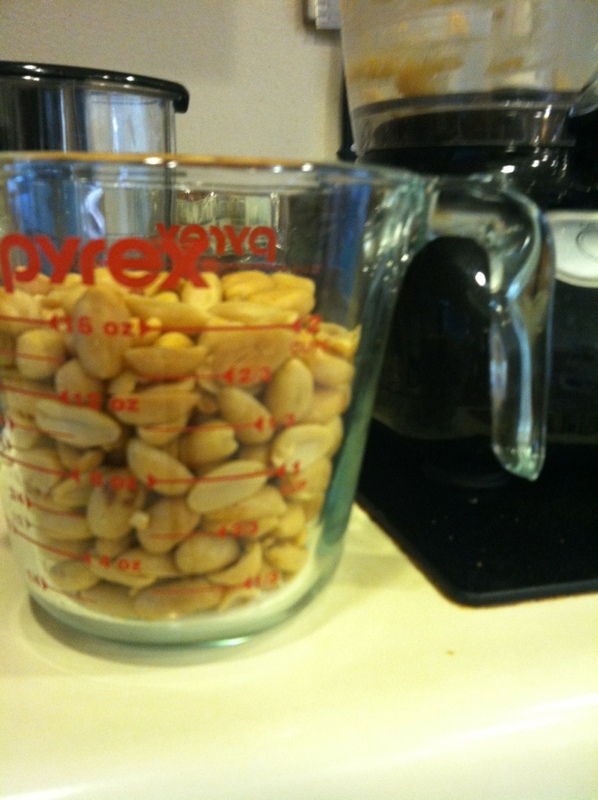 Basically, you need peanuts and either a food processor or blender and a bit of vegetable oil. I used a food processor for mine, so I can’t speak to how well a blender works. 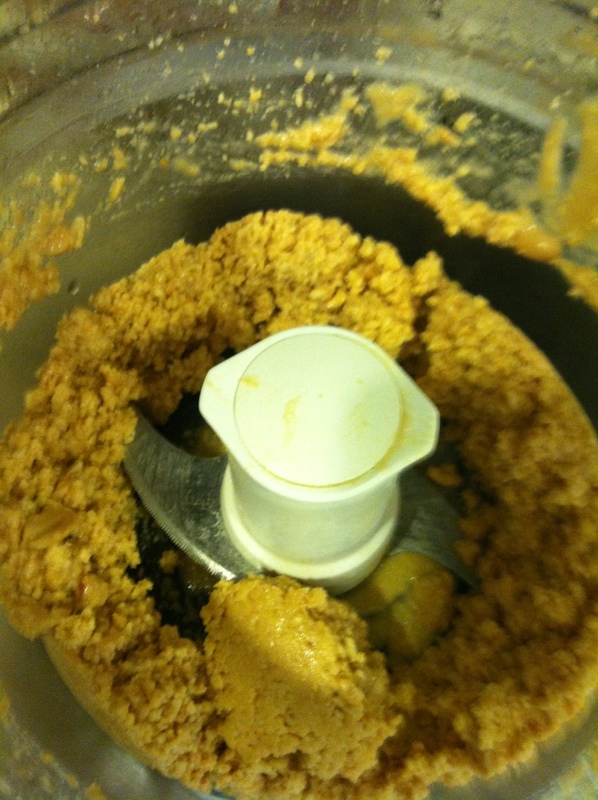 If you have a cheapie blender, it might break it– those nuts were making my food processor heat up! I went over to our local natural foods store and got peanuts. They are Virginia Roasted Peanuts at $3.89 a pound, unsalted. You can also get them shelled (I think those were $2.89 a pound or less) and shell them, but I did not want to shell them myself. I ended up with 1.77 pounds, which cost $6.89 and yielded, magically, 6 cups of peanuts, which would be about 48 ounces (though I didn’t measure the final yield). 6 cups X 8 oz per cup is 48 ounces, right? Yes, it is. So it’s probably more than twice as expensive as regular store bought peanut butter…but…no salmonella. I used two cups at a time, and added about 1 teaspoon of salt.First I used kosher, but I was afraid it would end up saltier as it melted because of the large pieces, so I switched to regular table. Then I pulsed it. It was REALLY REALLY noisy. Do not do this if you have a sleeping baby! It will probably also freak out animals. I tasted it for the salt content. You could add sweetener or not. I did not. My peanuts were very dry. Yours might not be. I used a little more than 2 tablespoons of canola oil to get to a creamy consistency, which seems to be on the high end as far as this goes. Add a little bit at a time and see if it needs more. It might just need a few minutes to break down the nut, or your nuts might need help with moisture. I’m not jarring mine, because we eat it nearly every day and I figure we’ll go through it (it’s supposed to last around a month, refrigerated). Sigh. Now off to thoroughly wash the watermelon…and cook everything into oblivion… I need a force field around my house. The best way to assure no bacterial contamination is to roast the nuts yourself and take all the precautions that you would in handling raw chicken. Wash and sanitize all items that touch the raw, unroasted nuts… Use only clean/sanitized containers and utensils after roasting. The roasting time and temp would kill any bacteria present; your precautions would prevent recontamination. Thanks! Sort of what I suspected. I’ve been thinking: would adding a dash – a very small dash – of vinegar onto homemade peanut butter help with the salmonella? or would it overpower the taste way too much? (not sure if my previous comment was added). I was wondering: if you put a very tiny dash of vinegar into the peanut butter, would that help with the salmonella problem? I have no idea! I read that vinegar can’t get past the slimy stuff surrounding salmonella, so you might have to use a LOT for it to be effective. Next time I’m going to buy unroasted peanuts and roast them at home.